Stand Up Paddling is a relatively new sport that is making big waves. Also called, SUP or SUPing, the Stand Up Paddle Board is a large surf board with which you use a long paddle to propel yourself. Used on flat water and rivers, SUPs come in a variety of shapes, sizes, and materials. The Arkansas Valley is a SUPer’s playground! Anyone who can stand can SUP. First time paddlers often test their balance on flat water ponds and lakes, while more advanced river runners can select from a wide range of challenges on the Arkansas River. The BV Town Pond, Cottonwood Lake, Clear Creek Reservoir, Twin Lakes, and Turquoise Lake are popular flat water SUP destinations that are all easily accessible and offer stunning scenery. 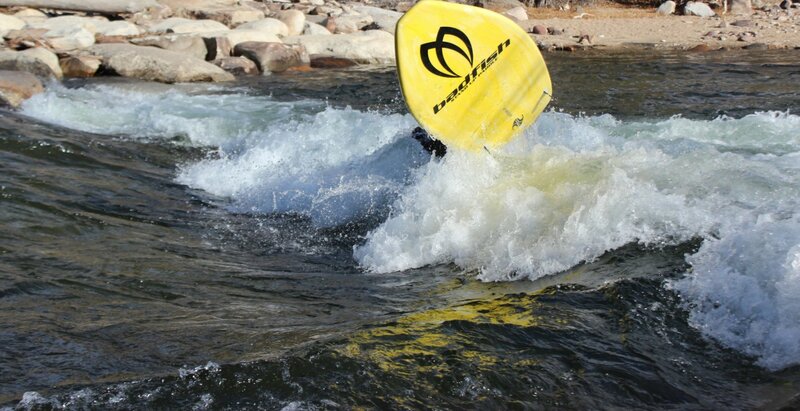 The towns of Buena Vista and Salida both have world class whitewater parks that are ideal play and training grounds for intermediate and advanced SUP skills. It’s not uncommon to see a large group of spectators watching the SUPs surf standing waves with skill and grace until they crash into the water and swim to shore. The area shops and guide services offer rentals and instruction for anyone wishing to give this new sport a try.